Amtrak ended its 2018 fiscal year with its highest operating earnings and revenue on record, even as disruptions kept a lid on the number of passengers. WASHINGTON — Amtrak ended its 2018 fiscal year with its highest operating earnings and revenue on record, even as disruptions kept a lid on the number of passengers. Amtrak’s fiscal 2018 total revenue was $3.38 billion, up 2.2 percent from fiscal 2017, and it cut its operating losses by more than 13 percent. Systemwide ridership during the year dropped 0.1 percent from the previous fiscal year to 31.7 million. On the Northeast Corridor between D.C. and Boston, which accounts for more than a third of Amtrak’s total passengers, ridership totaled 12.1 million for the year, up 0.8 percent. Amtrak’s long distance ridership was down 3.9 percent, largely from weather cancellations, infrastructure outages and planned repairs. During the year, Amtrak spent $4 million to update interiors on its Acela Express train sets, upgraded onboard Wi-Fi and began an en route train cleaning program on the Northeast Corridor. It also made improvements to passenger areas at several stations. Manufacturing also began during fiscal 2018 for its new Acela Express fleet that will enter service in 2021, carrying 30 percent more passengers and operating initially at speeds up to 160 miles per hour. EDITOR’S NOTE: An earlier version of this story referred to Amtrak’s operating earnings. 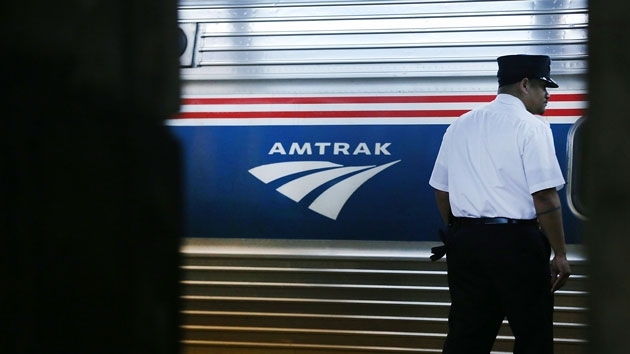 Amtrak had quarterly operating losses that improved by more than 13 percent.